San Francisco: Google set out to disrupt the video game world on Tuesday with a Stadia platform that will let players stream blockbuster titles to any device they wish, as the online giant also unveiled a new controller and its very own studio. The California-based technology giant said its Stadia platform will open to gamers later this year in the United States, Canada, Britain and other parts of Europe. 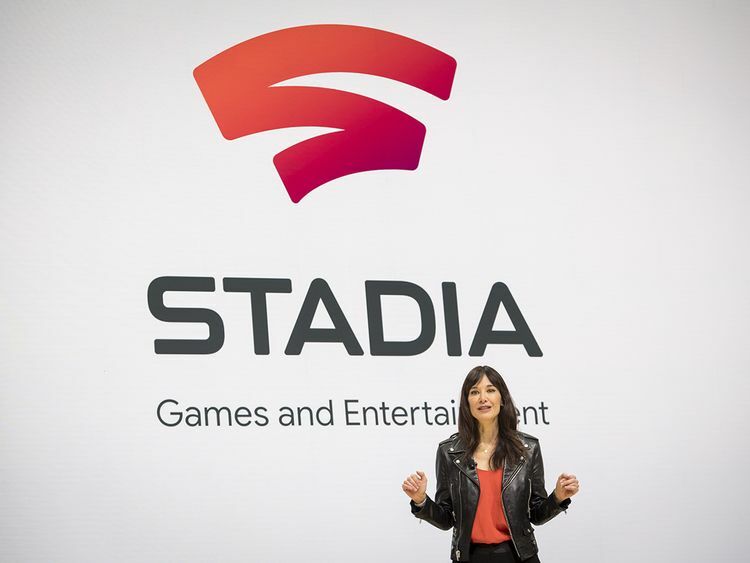 “We are on the brink of a huge revolution in gaming,” said Jade Raymond, the former Ubisoft and Electronic Arts executive tapped to head Google’s new studio, Stadia Games and Entertainment. “We are committed to going down a bold path,” she told a presentation at the Game Developers Conference in San Francisco. “I think we can change the game by bringing together the entirety of the ecosystem,” Pichai told a keynote audience. Google’s hope is that Stadia could become for games what Netflix or Spotify are to television or music, by making console-quality play widely available. Yet it remains unclear how much Google can grab of the nascent, but potentially massive industry. As it produces its own games, Google will also be courting other studios to move to its cloud-based model. Google collaborated with French video game titan Ubisoft last year in a limited public test of the technology powering Stadia, and its chief executive was in the front row at the platform’s unveiling. A coming new version of blockbuster action game “Doom” tailored to play on Stadia was teased at the event by iD studio executive producer Marty Stratton. “If you are going to prove to the world you can stream games from the cloud, what better game than ‘Doom’,” Stratton said. Streaming games from the cloud brings the potential to tap into massive amounts of computing power in data centers. For gamers, that could translate into richer game environments, more creative play options or battle royale matches involving thousands of players. At the developers conference, Google demonstrated fast, cloud-based play on a variety of devices. But it offered no specific details on how it would monetize the new service or compensate developers. Money-making options could include selling game subscriptions the way Netflix charges for access to streaming television. “I think it’s a huge potential transition in the video game industry, not only for the instant access to games but for exploring different business models to games,” Jon Peddie Research analyst Ted Pollak said of Stadia. Ubisoft, known for “Assassin’s Creed” and other titles, said it would be working with Google. An “Assassin’s Creed” title franchise was used to test Google’s “Project Stream” technology for hosting the kind of quick, seamless play powered by in-home consoles as an online service. The reliability and speed of internet connections is seen as a challenge to cloud gaming, with action play potentially marred by streaming lags or disruptions. Google said its investments in networks and data centres should help prevent latency in data transmissions. In places with fast and reliable wireless, internet players will likely access games on the wide variety of devices envisioned by Google, while hard-core players in places where wireless connections aren’t up to the task could opt for consoles, according to Pollak. “I think it is good news for everyone,” Pollak said when asked what Stadia meant to major console makers Microsoft, Sony and Nintendo. The US video game industry generated a record $43.4 billion in revenue in 2018, up 18 percent from the prior year, according to data released by the Entertainment Software Association and The NPD Group.